A Bench comprising of Justice K.S. 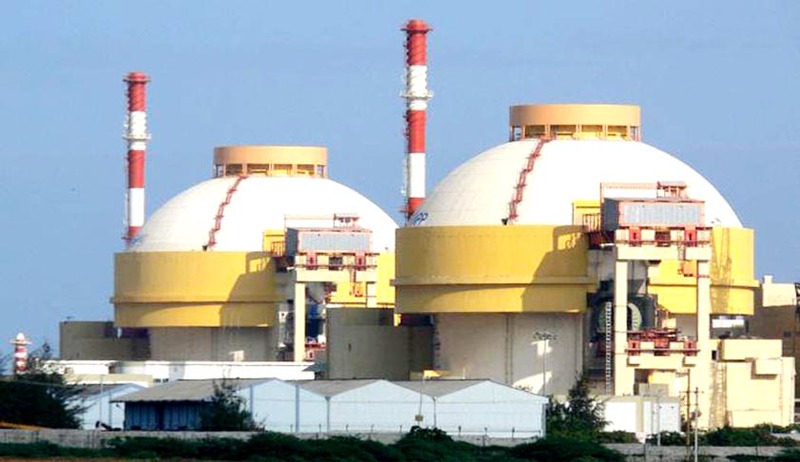 Radhakrishnan and Justice Vikramajit Singh on Monday dismissed the plea against commissioning of Kudankulam nuclear plant. The Petitions were brought forth by anti-nuclear activists challenging the project which is under construction in Tamil Nadu’s Tirunelveli District, on the ground that safety measures recommended for the plant have not been put in place. The progress in construction was delayed due to anti-nuclear protests by the locals and People’s Movement against Nuclear Energy. 1. The plant should not be made operational unless AERB, NPCIL, DAE accord final clearance for commissioning of the plant ensuring the quality of various components and systems because their reliability is of vital importance. 2. MoEF should oversee and monitor whether the NPCIL is complying with the conditions laid down, while granting clearance vide its communication dated 23.9.2008 under the provisions of EIA Notification of 2006, so also the conditions laid down in the environmental clearance granted by the MoEF vide its communication dated 31.12.2009. AERB and MoEF will see that all the conditions stipulated by them are duly complied with before the plant is made operational. 3. Maintaining safety is an ongoing process not only at the design level, but also during the operation for the nuclear plant. Safeguarding NPP, radioactive materials, ensuring physical security of the NSF are of paramount importance. NPCIL, AERB, the regulatory authority, should maintain constant vigil and make periodical inspection of the plant at least once in three months and if any defect is noticed, the same has to be rectified forthwith. surveillance and monitoring programme have to be evolved and implemented. 6. AERB should periodically review the design-safety aspects of AFR feasibly at KKNPP so that there will be no adverse impact on the environment due to such storage which may also allay the fears and apprehensions expressed by the people. 7. DGR has to be set up at the earliest so that SNF could be transported from the nuclear plant to DGR. NPCIL says the same would be done within a period of five years. Effective steps should be taken by the Union of India, NPCIL, AERB, AEC, DAE etc. to have a permanent DGR at the earliest so that apprehension voiced by the people of keeping the NSF at the site of Kudankulam NPP could be dispelled. 8. NPCIL should ensure that the radioactive discharges to the environmental aquatic atmosphere and terrestrial route shall not cross the limits prescribed by the Regulatory Body. 9. The Union of India, AERB and NPCIL should take steps at the earliest to comply with rest of the seventeen recommendations, within the time stipulated in the affidavit filed by the NPCIL on 3.12.2012. 10. SNF is not being re-processed at the site, which has to be transported to a Re-Processing facility. Therefore, the management and transportation of SNF be carried out strictly by the Code of Practices laid down by the AERB, following the norms and regulations laid down by IAEA. 11. NPCIL, AERB and State of Tamil Nadu should take adequate steps to implement the National Disaster Management Guidelines, 2009 and also carry out the periodical emergency exercises on and off site, with the support of the concerned Ministries of the Government of India, Officials of the State Government and local authorities. 12. NPCIL, in association with the District Collector, Tiruneveli should take steps to discharge NPCIL Corporate Social Responsibilities in accordance with DPE Guidelines and there must be effective and proper monitoring and supervision of the various projects undertaken under CSR to the fullest benefit of the people who are residing in and around KKNPP. 13. NPCIL and the State of Tamil Nadu, based on the comprehensive emergency preparedness plan should conduct training courses on site and off site administer personnel, including the State Government officials and other stake holders, including police, fire service, medicos, emergency services etc. 14. Endeavour should be made to withdraw all the criminal cases filed against the agitators so that peace and normalcy be restored at Kudankulam and nearby places and steps should be taken to educate the people of the necessity of the plant which is in the largest interest of the nation particularly the State of Tamil Nadu. 15. The AERB, NPCIL, MoEF and TNPCB would oversee each and every aspect of the matter, including the safety of the plant, impact on environment, quality of various components and systems in the plant before commissioning of the plant. A report to that effect be filed before this Court before commissioning of the plant. Writ petitions, which were subsequently dismissed, were brought forth before the Madras High Court, complaining non compliance with these guidelines. This Special Leave Petition was brought forth by the petitioners against dismissal of those petitions. The Petitioners were represented by Mr. Prashant Bhushan and the State of Tamil Nadu was represented by Shri Rakesh Dwiwedi. The Court also heard Mr. Mohan Parasaran, the Solicitor General of India and Shri Subramonium Prasad, AAG and other learned counsel appearing for the contesting respondents. The Centre, the Tamil Nadu Government and the Nuclear Power Corporation of India, which is concerned with the functioning of the plant, countered all safety and security allegations. In addition, verification and re-verification was carried out by AERB Observers team and concluded no non-conformance of standards and specific significance to security. Detailed affidavits were filed on behalf of the Tamil Nadu Pollution Control Board stating steps taken by them to comply with the aforestated directions. Status report submitted by the District Collector of Tirunelveli District pointed out earmarking of appropriate funds for various projects and measures. It was also stated that the up gradation of Kudankulam Primary Health Centre to Government Hospital and improvements to Chettikulam Sub Centre, construction of new PHC are nearing completion. The Court thus noticed no laxity on the part of the respondents in carrying out various directions of the Court. The Court rendered its trust over the respondents for full implementation of directions, giving it some more time. The Court also found it unnecessary to constitute a team headed by a former chairman of AERB in order to examine proper implementation of the directions, as prayed by the counsel for the Petitioner.